Peter Stallybrass is Walter H. and Leonore C. Annenberg Professor in the Humanities and Professor of English and of Comparative Literature and Literary Theory. For the last twenty-two years, he has directed the seminar on the History of Material Texts, and he co-edits the Material Texts series for the University of Pennsylvania Press. While training as a mortician, he became obsessed with Dostoevsky’s novels and, under the mistaken impression that he would have more time to read at university, applied to Sussex University in England. Peter was an undergraduate, a graduate, and a professor at Sussex, where he directed the graduate program in Renaissance Studies and the faculty/graduate seminar in Critical Theory. In 1984, he co-founded the Popular Literature Group at the Centre for Social History in Oxford, organizing conferences on Romance and Detective Fiction. In 1978, he visited the United States for the first time to teach at Smith College, where he met Ann Rosalind Jones. After eight years of commuting across the Atlantic, he moved to Dartmouth College in 1986 and, in 1988, to the University of Pennsylvania, where he has been ever since, with visiting positions at the University of London, and, as Directeur d’Études, at the École des Hautes Études en Sciences Sociales in Paris. He has received fellowships from the American Council for Learned Societies, the Society for the Humanities at Cornell University, the Folger Shakespeare Library, the Globe Theater, London, the Center for Advanced Judaic Studies, and the Guggenheim Foundation. In 1999, he was chair of the English Institute at Harvard University, and he has been a Trustee of the Institute since 2002. 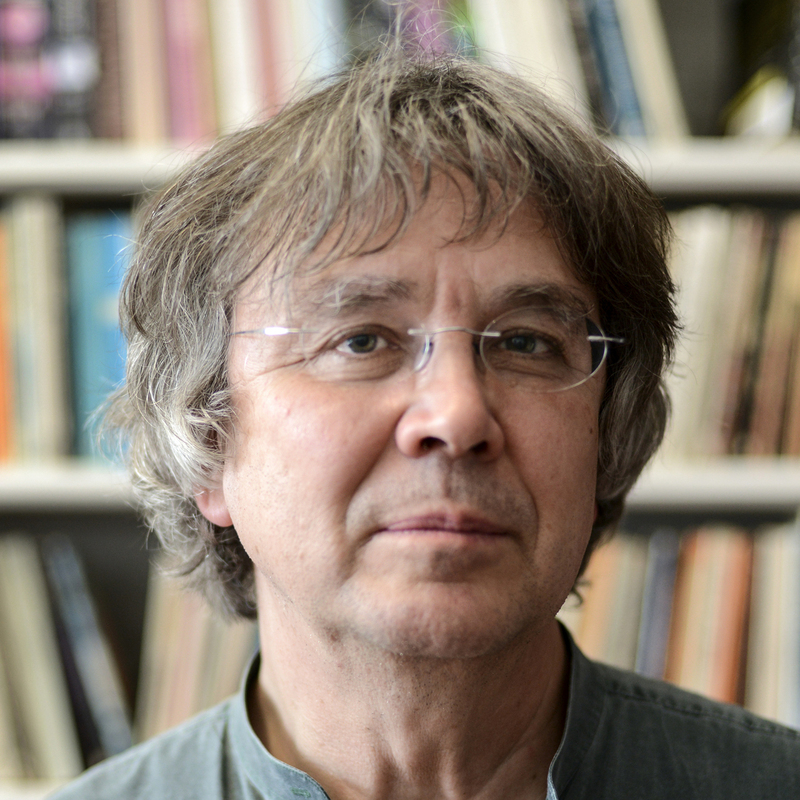 Most of Peter’s early work was on literary and cultural theory, and he published The Politics and Poetics of Transgression, co-written with Allon White, in 1986. His continuing interest in this field has led to a book on Marx, materiality, and memory, published in Brazil in 1999 under the title O Casaco de Marx: Roupas, Memória, Dor. His interest in material culture took a new turn after the death of Allon White and the particular problems of disposing of a friend’s clothes. As a memorial lecture for Allon, he wrote "Worn Worlds: Clothes, Mourning, and the Life of Things,” which led him to a collaboration with Ann Rosalind Jones on Renaissance Clothing and the Materials of Memory, published by Cambridge University Press and awarded the James Russell Lowell prize by the MLA in 2001. In 1993, Peter founded the seminar on the History of Material Texts, which has been meeting weekly ever since, and has brought together academics, librarians, writers, artists, and anyone interested in books and other cultural technologies. Peter’s interest in the history of books began when he read Magreta de Grazia’s Shakespeare Verbatim, and, drawing upon many of the ideas in that book, he wrote with her “The Materiality of the Shakespearean Text” (Shakespeare Quarterly 1993). He also began to teach a graduate class that met in and drew upon the wealth of Philadelphia’s libraries, including the Library Company of Philadelphia, the Rosenbach Library, and the Free Library, in addition to the University’s libraries. Since Roger Chartier was appointed to the History Department in 2000, he and Peter have been regularly teaching an undergraduate seminar on “Reading, Writing, and Printing.” Teaching Hamlet, they discovered the material basis of Hamlet’s erasable “tables of the mind” in the Folger Shakespeare Library and, together with Frank Mowery, the Folger’s Head of Conservation, and Heather Wolfe, the Folger’s Curator of Manuscripts, wrote "Hamlet's Tables and the Technologies of Writing in Renaissance England" (Shakespeare Quarterly 2004). Peter’s work at Benjamin Franklin’s Library, the Library Company, led him to collaborate with Jim Green, the librarian, on exhibitions on “Material Texts” and on “Benjamin Franklin: Writer and Printer,” and on a book on Franklin that was published by the Library Company, the British Library, and Oak Knoll in 2006. He also collaborated with Heather Wolfe in 2006 on an exhibition on “Technologies of Writing in the Renaissance” at the Folger Shakespeare Library. His 2006 A. S. W. Rosenbach lectures on “Printing-for-Manuscript” will be published by the University of Pennsylvania Press. In 2007, he was elected to the American Philosophical Society, this country’s first learned society, founded by Franklin in 1743. Alan Niles "Making English Memorial Literatures, 1500-1700"
Lucia Martinez "Making a Solemn Note: The Music and Meter of English Reformation Psalms"
John Pollack "Native American Words, Early American Texts"
Simran Thadani "Penmanship in Print: English Copy-Books and their Makers, 1570-1763"
Urvashi Chakravarty "Serving Like a Free Man: Labor, Liberty, and Consent in Early Modern English Drama"
Robbie Glen "Lines of Affection: Dorothy Osborne and Women's Letterwriting in the Seventeenth Century"
Clare Costley "David's 'Fruytfull Saynges': The Penitential Psalms in Late-Medieval and Early-Modern England"
Elizabeth Williamson "Staging Sacred Things: The Circulation of Religious Objects in Seventeenth-Century Drama"
Jean Feerick "Reproducing Race: Early Modern Bodies and the Construction of National Difference"
James Kearney "Matters of the Book: The Incarnate Text in Renaissance England"
William G. Fisher "Prosthetic Gods: Subject/Object in Early Modern England"
Paul J. Rock "From Boys to Men: Male Identities, Sexuality, and Fin De Siecle Criticism"
Rebecca Bach "Producing the "New World"; The Colonial Stages of Ben Jonson and Captain John Smith"